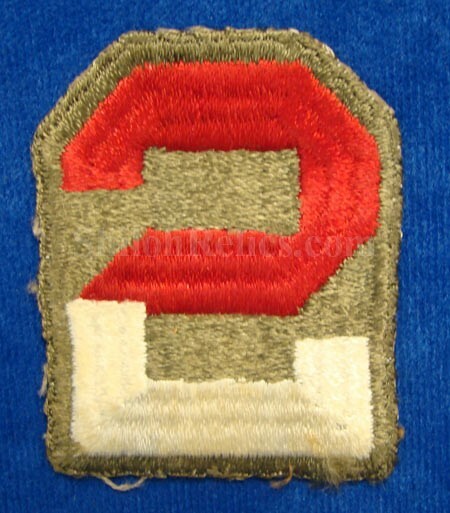 Here is a nice original Second World War 2nd Army patch embroidered on the green background. In the patch book they state that these were used from 1940 to 1946. 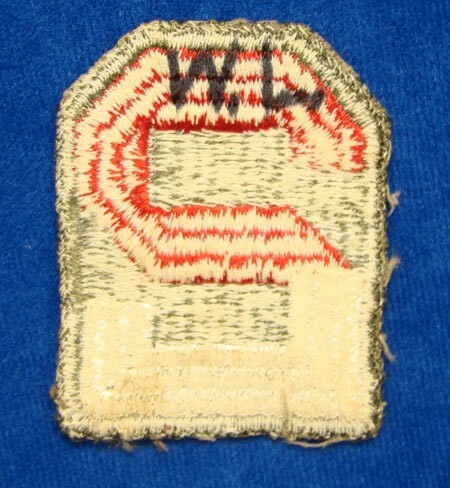 It has the red and white "2" with the green background. This one would date from the ww2 era because of the material it is made from and the construction. This one as you can see was worn but displays well. it is a "no glow" under the black lite test, which means the material is correct for the WW2 and WW2 occupation forces era (1940-1950). It is fine shape with no moth nips noted and measures about 2-1/2 inches square.